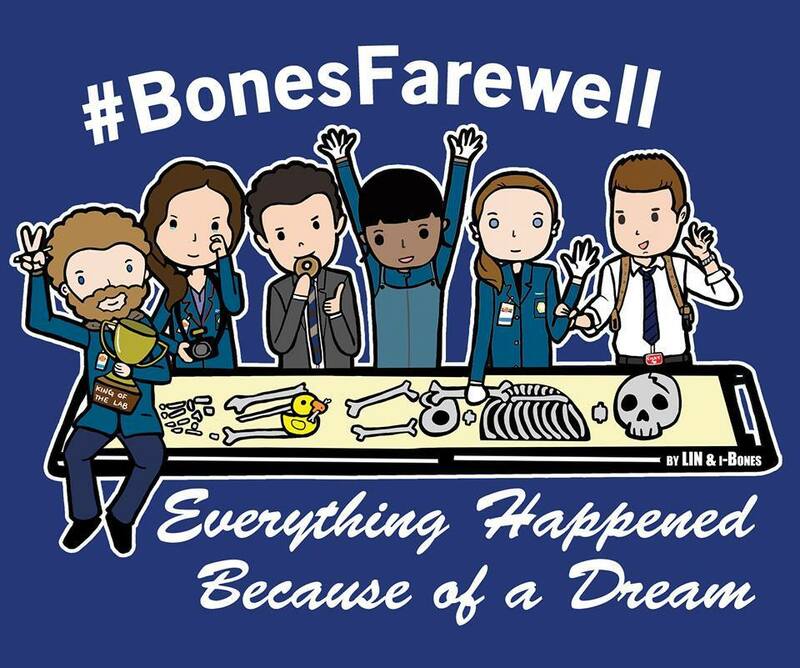 Join Squints from all over the world in this fan initiative to say "goodbye" to the tv show BONES and its cast and crew! Be part of a bigger project! Buying the shirt (or the hoodie, or the tank, or anything listed) is only the first step! In the first phase of the #BonesFarewell Campaign, we raised 743$ for the Children's Tumor Foundation. The goal of this second phase is to achieve the same result, if not bigger. Phase 2 of the #BonesFarewell Campaign will be divided in several rounds of about 10 days each. Shipping starts within 14-18 days after a round closes and it usually takes about 5 business days within the U.S., more than 7 to ship abroad. We are a fan group, of course we don’t do any of this for money and we have no interest in profiting from this initiative. That’s why we decided to donate all the profits from the sale of the t-shirts to The Children’s Tumor Foundation (www.ctf.org), an organization that “encourages and supports research and the development of treatments and cures for Neurofibromatosis”, a disease that the Bones writer, now showrunner, Michael Peterson brought to the attention of the viewers back in 2013 with episode 8×14 “The Doll in the Derby”. Thanks to the 1st phase of this Campaign we were able to donate $743 to CTF.